This exhibit has appeared at a number of events, most notably at the Royal Society Summer Exhibition, a BBC Stargazing LIVE event, the Manchester International Science Festival, and an IoP conference, as well as being the focus of many outreach events at local schools and societies, to date engaging with 20,000 people. 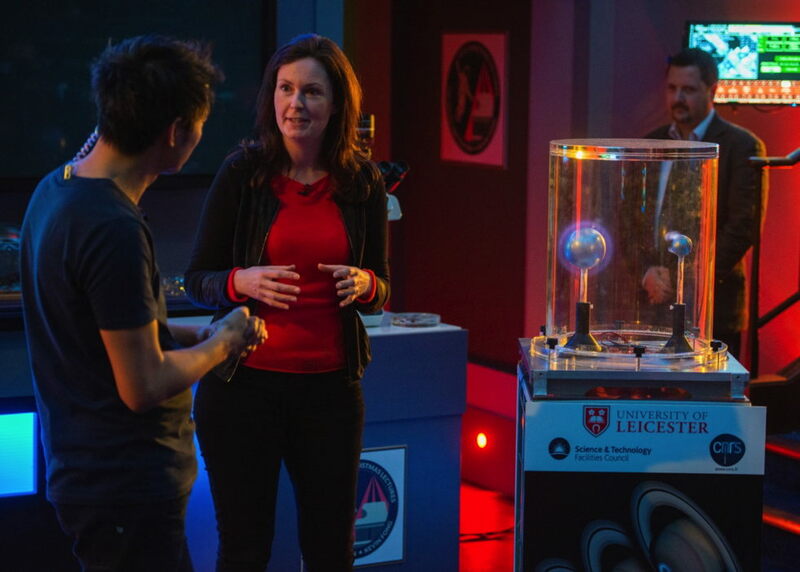 The department’s Planeterrella was exhibited at the Royal Institution’s Christmas Lecture on Dec 30th 2015. This year’s lectures celebrated the launch of Tim Peake to the international space station, and explored the topic ‘How to Survive in Space’. 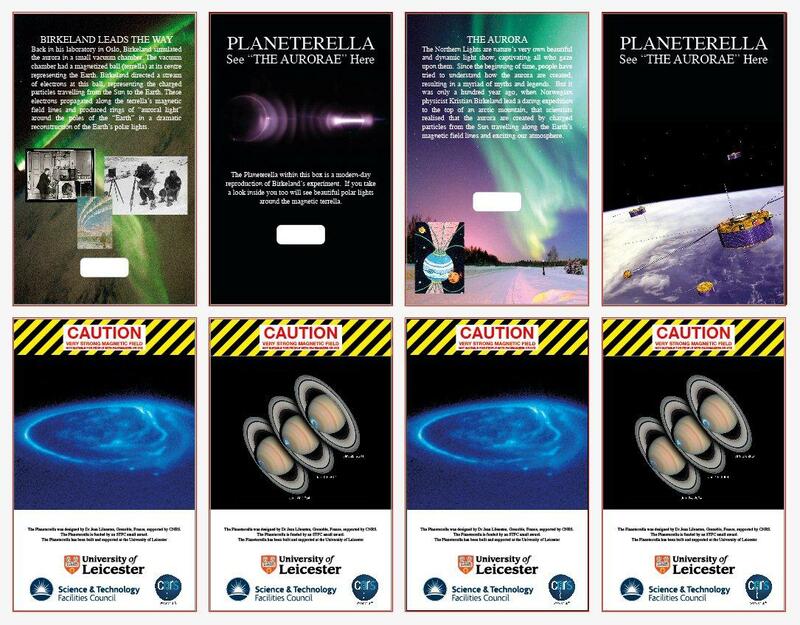 The lecture included a discussion on the physics of the northern lights, and the Planeterrella was used to recreate ‘auroral lights’ in the studio. Below is a still from the show, showing the Planeterrella presented by Kevin Fong and Lucy Green.